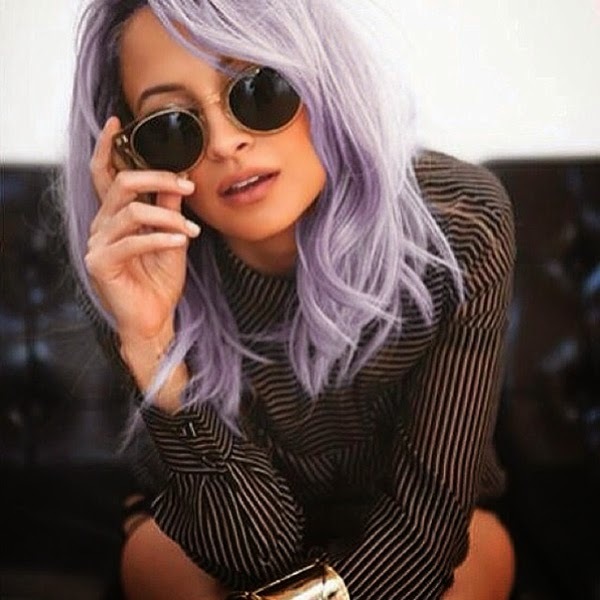 While our major girl crush on Nicole Richie is nothing new, it has recently reached new heights thanks to her (surprisingly) chic purple hair. We never thought lavender locks could work as a neutral, but we're feeling totally inspired by this bold color. Want to try out the look without the commitment? Hair chalk is an easy and inexpensive option. Whether you splurge on one that lasts a few washes (like this one from L'oreal) or simply play around with some sticks from your local art store, hair chalk works for both blondes and brunettes. With the latter, you'll want to put product in your hair beforehand (so the chalk has something to grab onto) and then seal with hairspray. It's also best you avoid wearing light colors as the chalk tends to bleed a bit. If you're like us, you adore Miss Richie's amazing sense of humor just as much as her style. This is why we are super excited to hear that #CandidlyNicole will premiere on VH1 this summer! Until then, you can find us sporting lilac tresses and watching reruns of The Simple Life. On repeat.